It is often talked about in the media and by politicians that there are too many tax breaks for wealthy individuals in America. But there are many tax tips for the middle class that may not be well known, and may not be being used because of this. It’s important for each middle class family to know of each tax break that is offered to them, in order to put more money back into your pocket as you file your taxes each year. 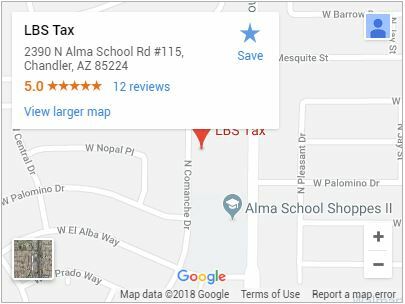 Call us at LBS Tax & Accounting to speak to a Tax Accountant in Chandler. Although there is a limit on certain retirement plans and how much you can contribute each year, the money you put into a retirement or savings fund can often be used as a tax write off to help save you money. Any money that is put toward retirement can benefit you in more ways than one. The money will be available to you after you quit working, and can help to save you money on taxes during times of employment. Specifics for each married couple depend on the plan you choose and how you file your taxes. The more you work, the more you are eligible to get back on your taxes. For example, the government offers an Earned Income Tax Credit that is based on how much you work and how many children you have. Your state may even have its own version of this credit, which will save you even more money. But in order to receive the benefit offered by this tax break, you have to actively file for it when you file your taxes. The bonus of this is that you are likely to get a check back from the government come tax filing time. The more children you have, the less money you pay on taxes. While it’s not a good idea to have a child specifically for the tax credit, you are eligible for a one thousand dollar tax credit each year for each child that you have. If you are divorced from the child’s other parent, you must legally work out who gets to claim the child each year and save the money. This deduction is a direct deduction that reduces your tax bill dollar for dollar. So rather than taking a percentage off your tax bill, it takes a direct thousand dollars off. The money you pay to the government should be as limited as possible. Although it is a responsibility of each American to pay taxes, it’s important that you only pay what you are required to pay. Staying educated on what tax exemptions you are eligible for can save you money in the long run.